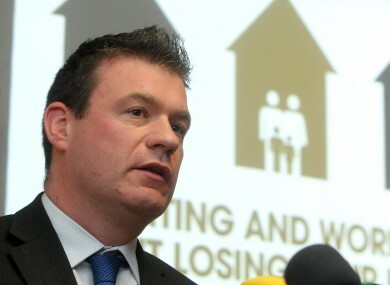 Reports today reveal Department officials said housing figures had been spun. FIANNA FÁIL IS calling for the civil service to take action to address a ‘culture of spin that appears to be developing’. Emails released under Freedom of Information reveal discussions between officials at the Departments of Environment and Finance. A spokesperson for Minister Alan Kelly’s Department of Environment told the paper that this 46,000 figure was initially accurate, having been provided by the four local authorities, but clarification was later sought, and the figure revised down to 30,000. In a statement issued this afternoon, Fianna Fáil’s environment spokesperson Barry Cowen said the emails put the reputation of the civil service at risk. “This government has been obsessed with spin since they were elected in 2011. Now this culture appears to be seeping into the civil service,” he said. This is a very serious development and needs to be addressed at Secretary General level. There has always been a proud history within the Irish civil service of being apolitical and this should not be allowed to change under this government. He noted that the 42,000 figure was a “cornerstone” of plans to build thousands of homes. This is an extremely serious issue, not only because it appears as if the Minister was overinflating the figures to curry favour with the public, but also because the civil service appears to have been used to fudge the numbers. Email “Government spin 'now seeping into the civil service'”. Feedback on “Government spin 'now seeping into the civil service'”.